The quick arrest of a homeless man living in his van on charges of sending more than a dozen mail bombs to notable Democrats around the country may have signaled the climax of a massive federal investigation during the past week — but it’s far from over. Federal agents are still searching for other possible suspects in South Florida who may have helped Cesar Sayoc, the former stripper and self-described entertainment promoter who was arrested at an auto parts store in Plantation Friday. Friday night, FBI agents questioned a person at a Broward County residence with a potential connection to Sayoc, but nothing came of the interview, according to law enforcement sources familiar with the probe. 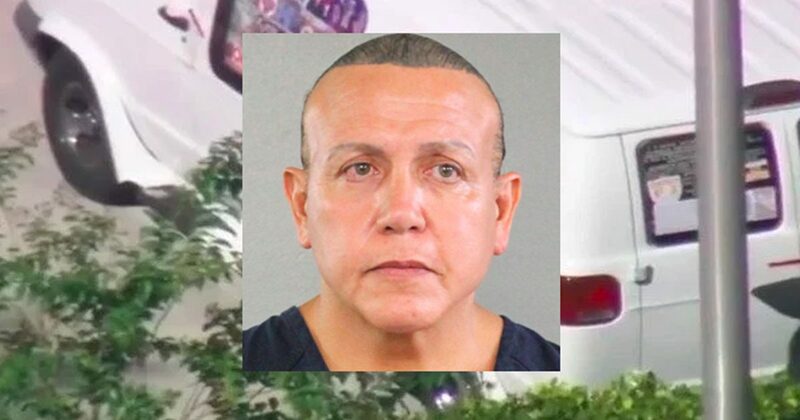 Investigators are also analyzing Sayoc’s impounded van in which he lived and allegedly built the pipe bombs because it contains a trove of valuable evidence, from explosive-device materials to credit-card receipts. They say the vehicle, covered with attacks on critics of President Donald Trump, directly links the 56-year-old Aventura man to the crime of mailing explosive devices from South Florida to the Democratic targets. According to sources, Sayoc told FBI agents and other authorities during a brief interview at the bureau’s South Florida field office in Miramar that he never meant to hurt any of the intended targets — though the FBI’s director later said the pipe bombs were not “hoax devices.” Sayoc eventually clammed up, invoking his Miranda rights and asking to speak with a lawyer. This entry was posted in Crime, Current Events, News, Politics, Uncategorized. Bookmark the permalink. 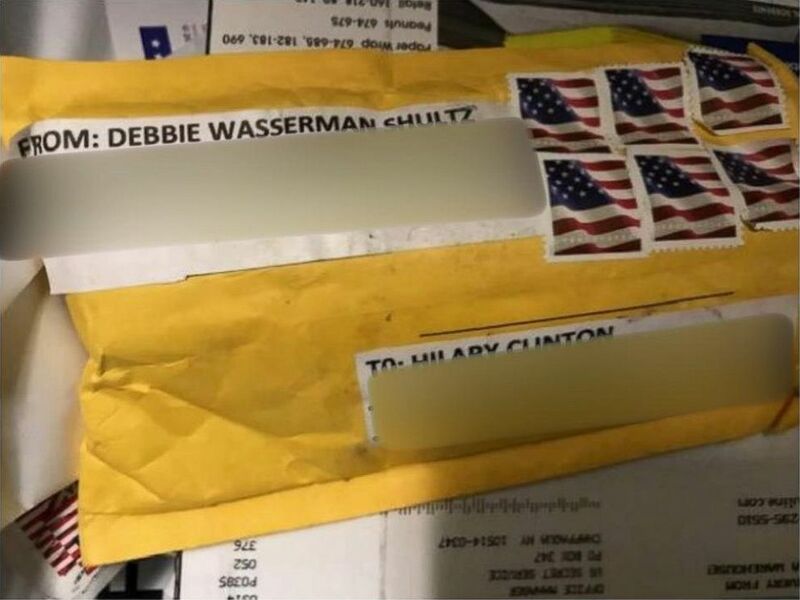 Every photo I’ve seen shows uncancelled stamps. Non-standard shaped packages like those have to be hand-cancelled. What gives? 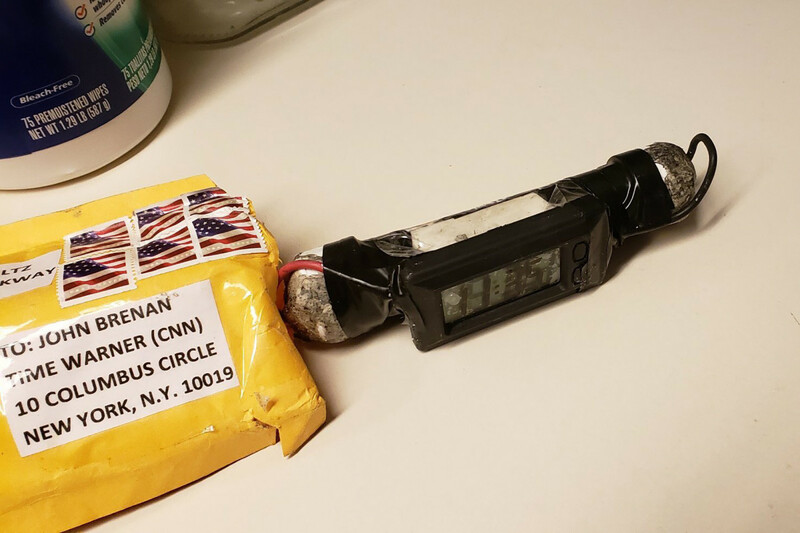 The one in the photo is the one delivered to CNN – by courier, not mail. I’ve never seen a “postage due” note like this one. Am I just too California-provincial? I still don’t see any cancellation on the stamps. Were they all courier-delivered? How did he afford that? Just FYI–Karl Denninger has this to say about the “bombs” going/not going through the USPS. Interesting….he brings up other irregularities, including insufficient postage and NO barcoding.